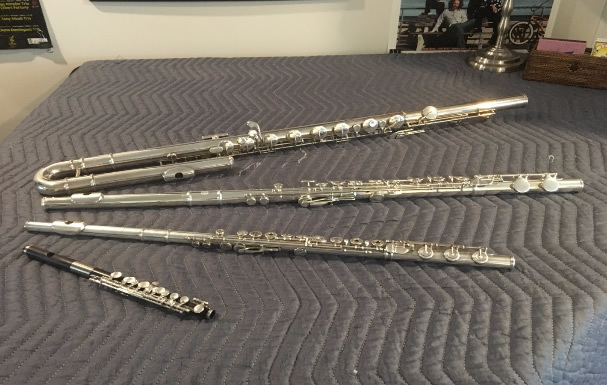 The Philadelphia Flute Quartet is a professional ensemble dedicated to the performance of music for multiple flutes, educational presentations and ensemble coachings. Core members of the quartet include Thomas Meany, Christine Hansen, Anne Levinson and Kathleen Brown. Thomas Meany is a graduate of the University of the Arts and Rowan University. 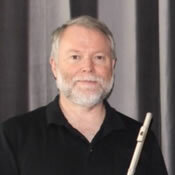 Tom teaches for the Saint Basil Academy, the Settlement Music School and the Springside Chestnut Hill Academy. He performs regularly with the Meany/Simmons Flute and Classical Guitar Duo, the Philadelphia Flute Quartet and Opera Philadelphia. Christine Hansen is a graduate of Temple University, University of Delaware and Rutgers/Mason Gross School of the Arts. Chris teaches at the Perkins Center for the Arts, Eastern University and works as a PRAXIS music test scorer for the Educational Testing Service. She performs with the St.John’s (Blue Bell) Chamber Orchestra and the Savoy Opera Company. Anne Levinson is a graduate of the University of the Arts. 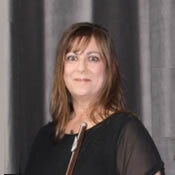 She performs with the Philadelphia Flute Quartet and the Germantown Flute Ensemble playing C flute, Alto Flute and Bass Flute. 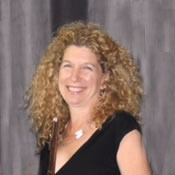 Anne teaches for the Settlement Music School, Waldron Mercy Academy and the Chestnut Hill Music Academy. She moved to San Diego 20 years ago and has recently moved back to Philadelphia. Anne now lives in the Germantown section of Philadelphia. Kathleen Brown hold degrees from SUNY College at Fredonia and Temple University where she studied with Murray Panitz. She teaches woodwinds and chamber music at Ancillae-Assumpta Academy and has a home studio. 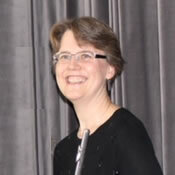 Kathleen performs with the Philadelphia Flute Quartet, Independence Sinfonia and Orchestra Concordia. What is a Flute Quartet? The Philadelphia Flute Quartet is a chamber music ensemble of four flutes. In addition to the traditional C flutes, the ensemble is further enhanced by using the alto flute, bass flute and piccolo. With these additions, the regular three octave range of the flute can be expanded to five, thus creating new opportunities for expanded harmonies and sonorities.